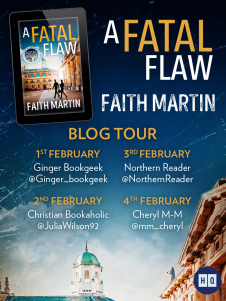 Today it is my turn on theBlogTour A Fatal Flaw by Faith Martin.This is the third book in the Ryder and Loveday series, a cosy crime series with an unusual crime fighting duo. 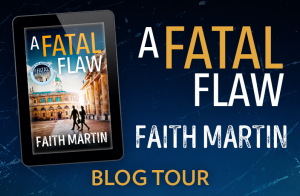 Faith Martin has been writing for 30 years. She signed a massive 3-book deal with the publishers Harper Collins/HQ, who have published her Ryder & Loveday novels. All three novels, A Fatal Obsession, A Fatal Mistake and A Fatal Flaw are available now. As the city of Oxford prepares itself for the inaugural Miss Oxford Honey Beauty Pageant at The Old Swan Theatre, excitement is in the air. But when one of the leading contestants is found dead, suspicion hangs over the competition. A brilliant review from Damppebbles …. Blackberry and Wild Rose is Sonia Velton’s historical fiction debut and is based around the silk workers in 1860s Spitalfields in London. It is told from the points of view of Sara and Esther and illustrates the hardship and poverty at the time. It also covers the conflict between journeyman weavers and master weavers and the fact that women were unable to work in certain professions, including art. This is so beautifully written, an ethereal yet grounded tale of just what it must have been like to live and fight against the every day adversities of this age. In my opinion, Sonia Velton has written a stunning and elegant tale which show the strengths of women who even when so downtrodden show such hope and determination to improve their lives, those of others and to follow a dream. Remarkable writing. Sonia Velton has been a solicitor in Hong Kong, a Robert Schuman Scholar in Luxembourg and spent eight years being a full-time Mum of three in Dubai. She now lives in Kent. Her first novel, BLACKBERRY AND WILD ROSE, tells the story of a fictional household of master silk weavers living in eighteenth century Spitalfields. The protagonist is loosely inspired by Anna Maria Garthwaite who was the foremost silk designer of the mid-eighteenth century and the title takes its name from an actual silk design. The novel was shortlisted as a work in progress for the Lucy Cavendish Fiction Prize 2015 and longlisted for the Myslexia Novel Competition. The Binding by Bridget Collins – Book Review. Emmet Farmer is recovering from an illness, he’s still very weak but he’s back working on the farm with his sister Alta. But then a letter arrives and he is sent away to be an apprentice to Seredith, a binder. There is tragedy and fear as when he leaving the cottage to work for a commercial binder, he sees a book with his name on it….what has he forgotten? Why does he fear, on one hand yet on the other feel drawn to Lucian Darnay? The story is told from the perspectives of Lucian and Emmet, switching between the present and the past to show what memories have been bound in this stunning, beautifully written tale of love and loss. The idea of binding sounds so wonderful, to have awful, tragic or maybe violent memories removed, put into a book to be kept safe, BUT as with all things, this could and would be abused by the morally corrupt for their own ends. The idea that people could also sell their memories for a ‘trade’ Binding for others enjoyment is just repugnant, but I’m sure it would happen. I loved the idea that novels are just made up memories and are therefore frowned upon. Bridget Collins has created a thought provoking tale, I wonder, if you could have bad memories removed, would you? Who would you trust to hold the book safe and not pass it to others to read……not a pleasant thought really is it ? I loved the characters and Emmet and Lucian are just wonderful, I was so engrossed in their tale, and loved them both due to Bridget Collins captivating, spellbinding and emotive writing, I may have left a little of myself in The Binding with them….a beautiful, must read book. I would like to thank the Author/the Publishers/NetGalley for the opportunity to read this book for free in exchange for a fair and honest review. I have also purchased a hardback copy myself.